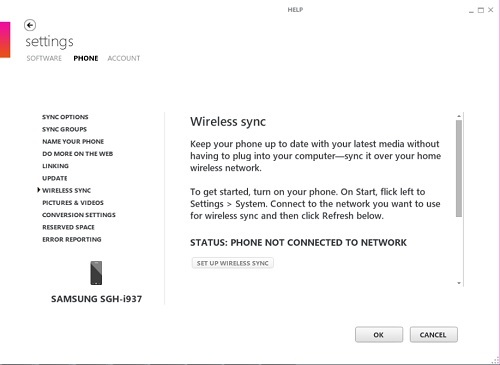 How to sync music, videos, pictures, and podcasts from my Windows computer to my Windows phone with Zune? 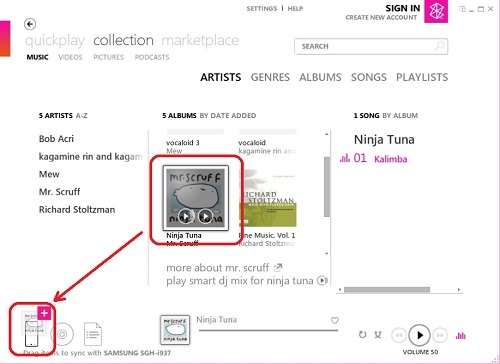 If you have the free Zune software installed on your computer, you can sync music, videos and pictures to your Windows phone easily. 2. If the Zune software is installed on your computer, the program will start automatically. If it isn't installed on your computer, see Install the Zune software. 3. 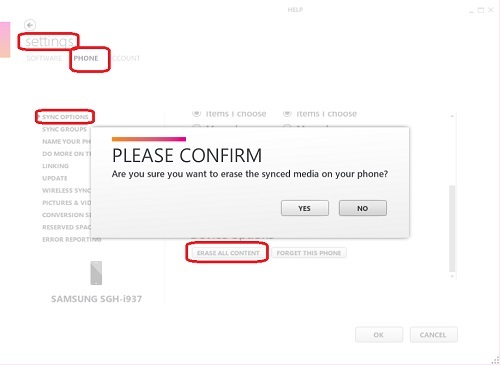 If this is the first time you've connected your phone to your PC, follow the instructions in the Zune software to name your phone and perform other setup tasks. 4. 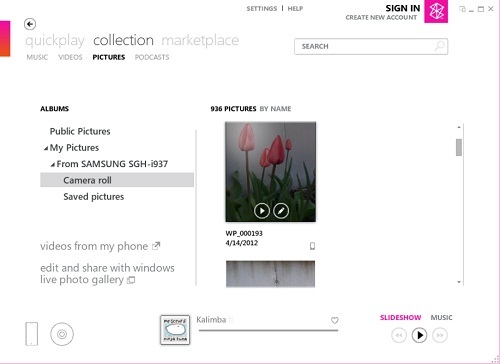 In the Zune software, click Collection. 5. Find the item you want to sync by doing one of the following: Click a category (Music, Videos, Pictures, or Podcasts), and browse until you find the item you want to sync with your phone (such as a song, album, artist, playlist, genre, and so on); In the Search box, enter what you're looking for (for example, a song title or artist name). In the search results, click the desired item. 6. Drag the item to the phone icon in the lower-left corner of the Zune software.